Fly from London, UK, to Bali, Indonesia for as little as GBP635 (USD990) with KLM Airlines. The quoted price is for a round-trip economy class ticket inclusive of all taxes and airline surcharges. Departures are available from other cities for a surcharge. This promotional rate is available for travel on select dates now through November 30, 2012. Budget airline AirAsia now flies between two of Indonesia’s most popular holiday destinations – Bali (Denpasar) and Yogyakarta. The new route launches on June 8, 2012, and there will be one round-trip flight per day. One-way fares start from just IDR149,000 (USD16) including taxes and surcharges. Additional fees apply for checked luggage and on-board meals. Eva Air is offering special fares for travel from Paris to Indonesia. Round-trip economy class fares are EUR781 (USD 1,025) to Jakarta or EUR831 (USD1,090) to Bali (Denpasar). Prices include all taxes and airline surcharges. Children receive an additional discount. Tickets must be purchased by July 31 for travel on select dates now through December 16, 2012. Treat yourself to a holiday in Bali, Indonesia, with round-trip airfares from Europe starting at just EUR830 (USD1,085) with Thai Airways. Departures are available from major cities including London, Paris, Brussels, Amsterdam, Madrid, Helsinki, Stockholm, and Zurich. The ‘I Fly Thai’ promotion must be booked by June 30, 2012, for travel before November 30, 2012. Enjoy the comforts of a full-service flight at budget airline prices with the Singapore to Bali promotion from KLM Royal Dutch Airlines. KLM flies this route 5 times per week and fares start from just SGD223 (USD180) for round-trip economy class travel inclusive of booking fees, taxes, and surcharges. These rates are available on select travel dates now through June 30, 2012. 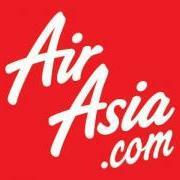 Starting February 6, 2012, budget airline AirAsia will offer direct daily flights between Kuala Lumpur, Malaysia, and Semarang, Indonesia. Semarang is located in the north coast of Java and home to about 1.5 million people. To celebrate this new route, promotional fares start from just USD18 + taxes for one-way travel and are available through June 30, 2012. 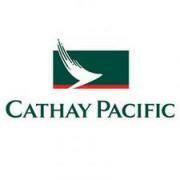 Cathay Pacific Airlines is offering great fares for travel from selected cities in the USA to Bali, Indonesia. Round-trip economy class fares start from USD1,255 from San Francisco or Los Angeles and USD1,390 from New York. Prices include all taxes and surcharges. Promotional fares are valid for bookings and departure dates now through May 23, 2012. Thai Airways is offering special prices from London, UK, to the idyllic island of Bali, Indonesia. Round-trip economy fares start from GBP688 (USD1,060) inclusive of all taxes, surcharges, meal, and 20kg checked luggage. Tickets must be purchased by November 30, 2011, and are valid for travel from now until December 9, 2011, and January 1 – June 30, 2011.